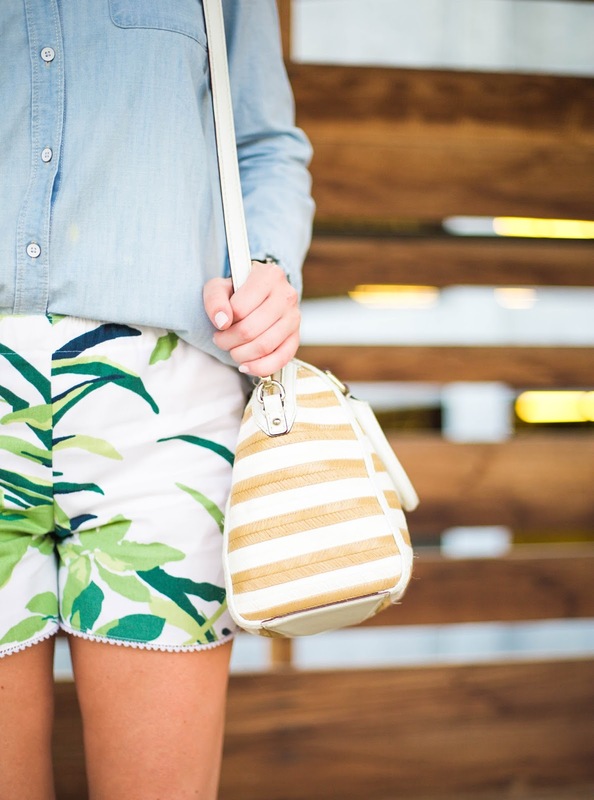 Palm print everything has been catching my eye lately. 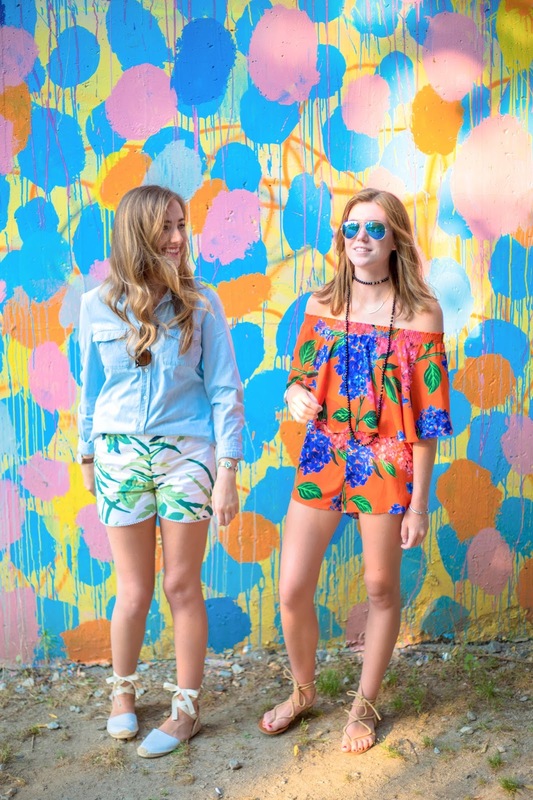 From pillows to phone cases to rompers, I cannot get enough of this print that epitomizes summer. 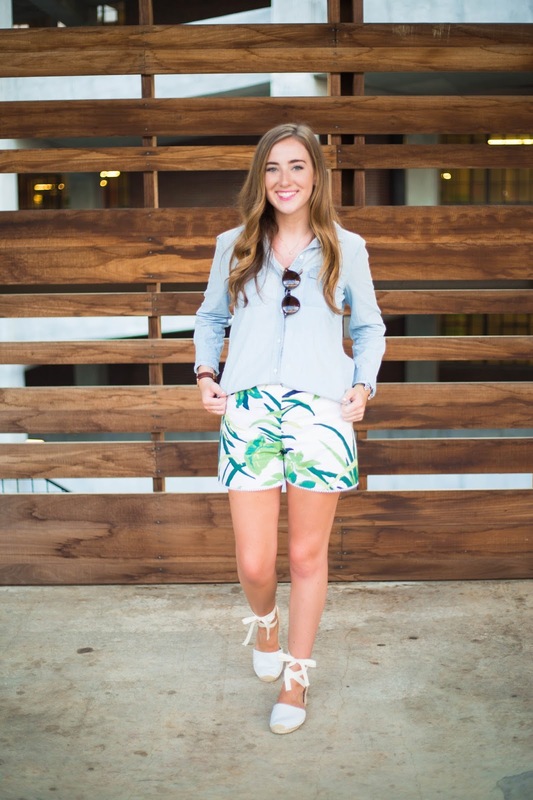 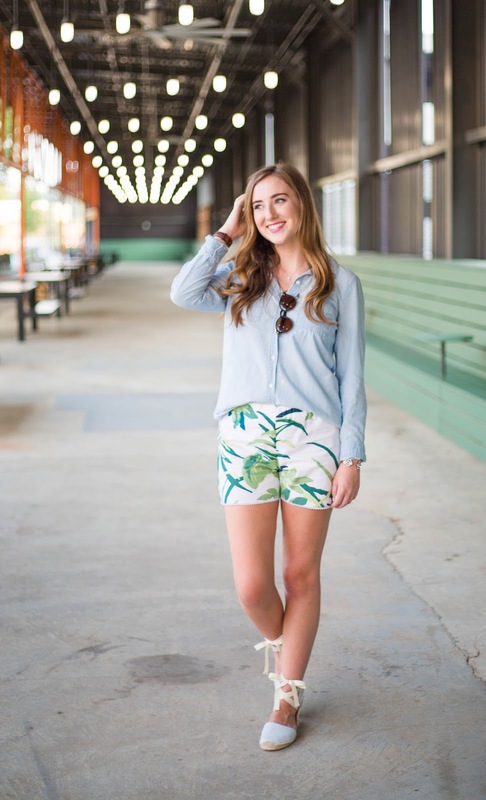 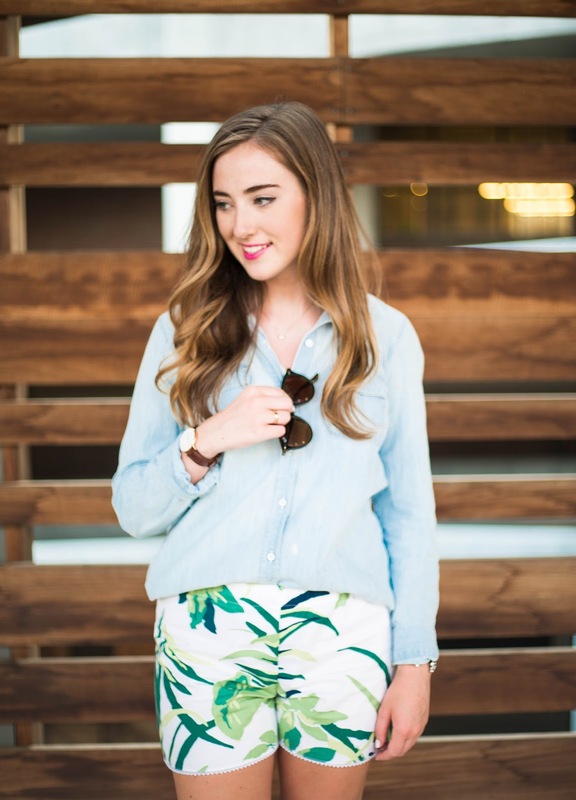 These shorts are the perfect addition to a summer wardrobe because they add a playful pizazz to any outfit. 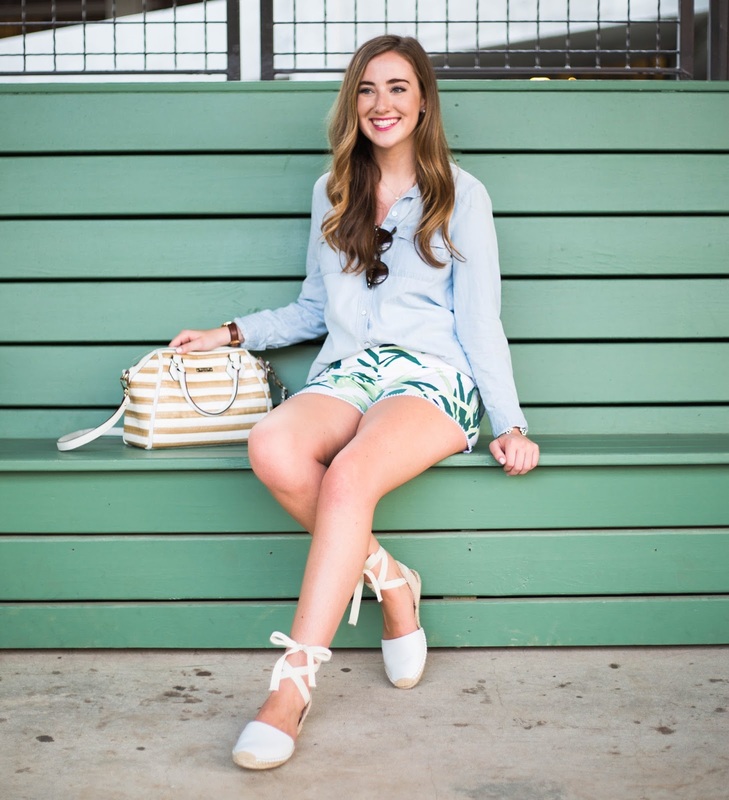 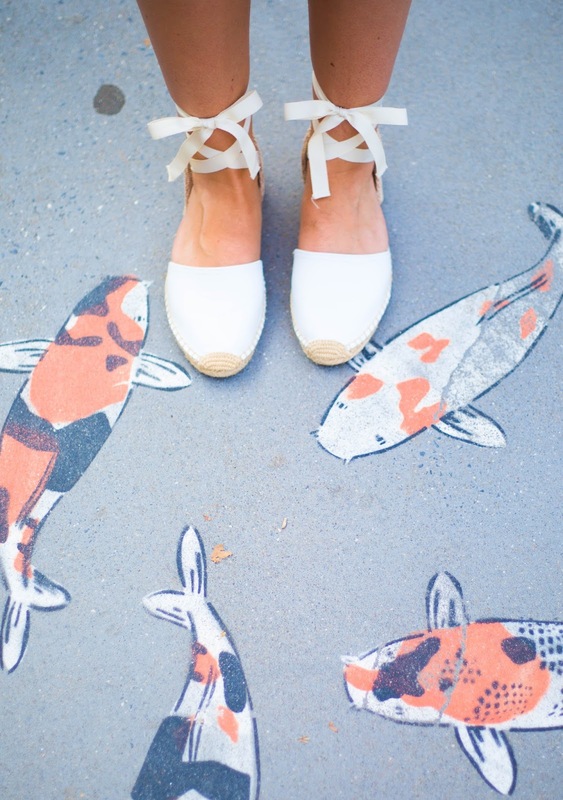 My recommendation is to pair them with a solid colored top and fun, neutral accessories (like these adorable lace up espadrilles). 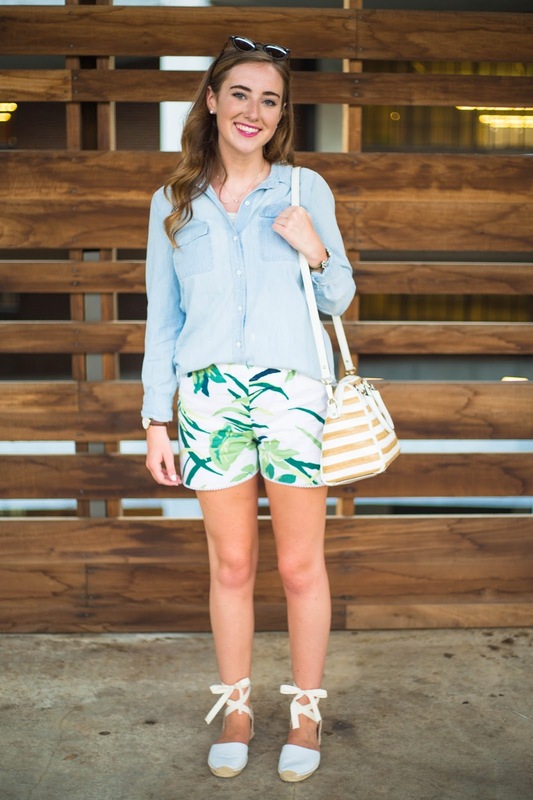 These shorts also look amazing when you pair them with head to toe white clothes and accessories. 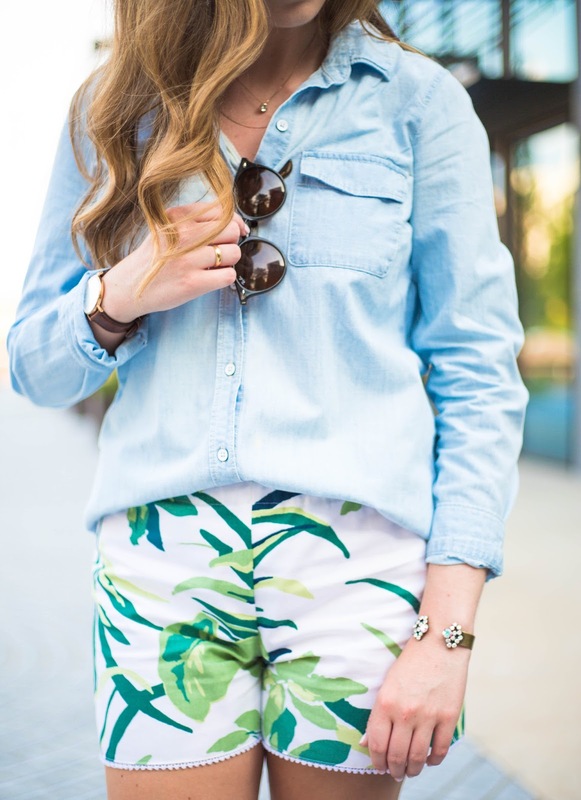 It will make you feel clean and fresh and like you're going to a nice dinner at a tropical resort.